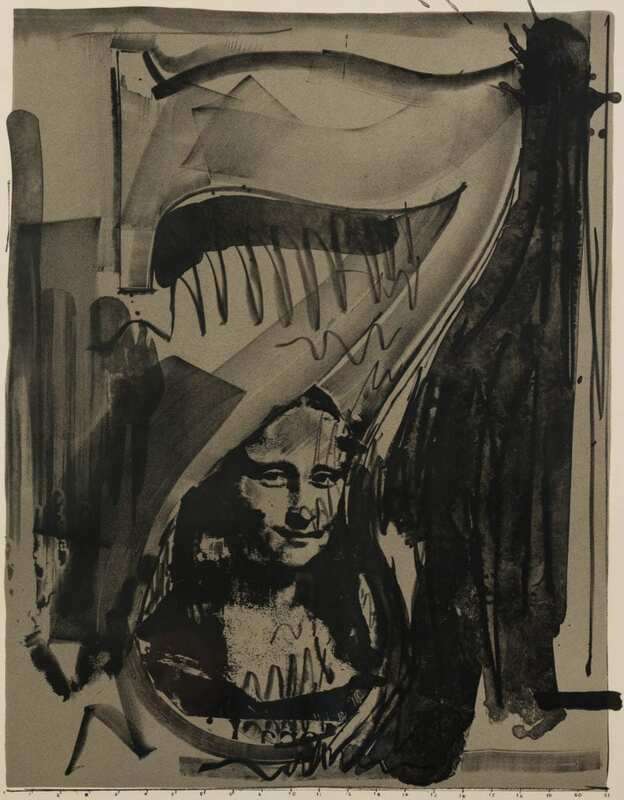 Jasper Johns “Figure 7” (1968) signed lithograph will be at our auction on March 24th. Dimensions 27 x 20 1/2 in. image ; 37 x 30 in. sight ; 8 1/2 x 31 1/2 in. frame. To bid by phone, contact us at 612.440.6985 or info@revereauctions.com. To bid absentee, contact us directly or fill out the form here. Online bidding is available at LiveAuctioneers.com and Invaluable.com. Jasper Johns was born in 1930 at Augusta, Georgia and grew up in South Carolina. He attended the University of South Carolina from 1949 t0 1951 and received no formal artistic training. He moved to New York and was drafted into the army and stationed in Japan and returned to New York after his duty. Johns returned to New York and worked in a bookshop from 1952 to 1958 and collaborated with the artist Robert Rauschenberg to produce designs for storefront windows. Johns painted his first flag picture in 1954 that was a monumental and important moment in the art-historical canon of modern art. The concept of a simple realistic painting that had no emotional or political connotation departed from the concepts of Abstract Expressionists from that time. The painting was a precursor to minimalism and pop art by focusing on the works uniformity rather than the talents of the artist. In 1958, Johns had his first one-man exhibition at the Leo Castelli Gallery and began to win prizes at Biennale’s and was exhibited at major museums such as the Museum of Modern Art in New York. During this period, John’s began to experiment with different artistic styles and mediums, including lithography. His efforts helped lead into a renaissance of printmaking in the United States. The collage-like composition of Figure 7 attests to Johns’ individual style that intellectually reflects modern life and is difficult to associate with one particular art movement. He favored subjects that the mind already knows yet overlooks due to familiarity. The text Mona Lisa is printed on the composition Figure 7, so that this print in particular can be seen as a pun on the meaning of a figure. His similar Color Numerals series draws on the decimal system conception and how counting with fingers utilizes one’s eye, mind, and body. Numerics as a motif was an interest of his from 1955 to 1970. Repetition for the series extended beyond 1-9 since he was reworking stones and plates from the previous numerals series. His fascination with numbers was celebrated in LACMA’s 2004 exhibition Jasper Johns: Numbers. The rich texture witnessed in his paintings is evident in the patterns on this print, which displays many layers of gray and black lines. Paintings and prints are featured in several major public and private collections. Currently, a landmark retrospective of his work titled Something Resembling Truth is at the Broad Museum in Los Angeles, CA.